Breakfast in bed, an underrated Valentine’s Day treat. There is something to be said for this luxury. Since February is the month of love and Valentine’s Day, we wanted to share a recipe that could be used for breakfast in bed. Our Chocolate Strawberry French Toast is the perfect way to celebrate! Not only are you showing someone a bit of love, you are also showing local love because these ingredients all come from Phoenix Public Market! When creating the recipe for our Chocolate Strawberry French Toast we were inspired by the gorgeous Cocoa Marble Bread from Euro Cuisine. To really sweeten the deal, we paired it with some delicious strawberry jam from Jerusalem Bakery. 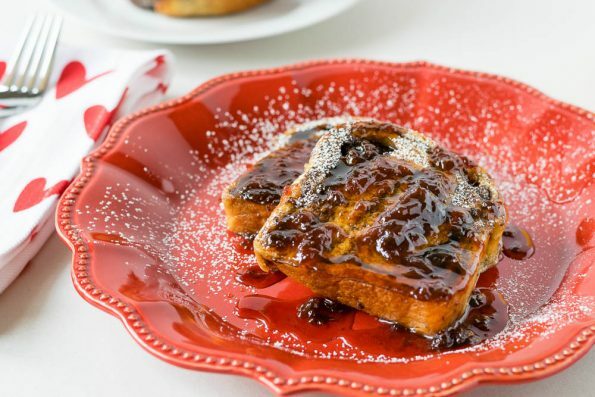 The result is a decadently sweet french toast that will suit all of your breakfast in bed needs. Both fruit lovers and chocolate lovers will find something to delight in with this recipe. What will you be doing for Valentine’s Day? Be sure to head over to Phoenix Public Market this weekend to get the ingredients for this recipe and surprise that special someone with breakfast in bed! Happy Valentine’s Day! Slice bread into 8 even slices. Combine eggs, sugar, cinnamon, milk, vanilla, and nutmeg in a shallow bowl. Heat butter in a large frying pan. Dip bread into egg mixture coating both sides. Serve with strawberry preserves and powdered sugar. Chocolate AND strawberries on French toast?! Yes please! I’m a sucker for french toast, and I love the idea of making it with a cocoa-marbled bread – fantastic! 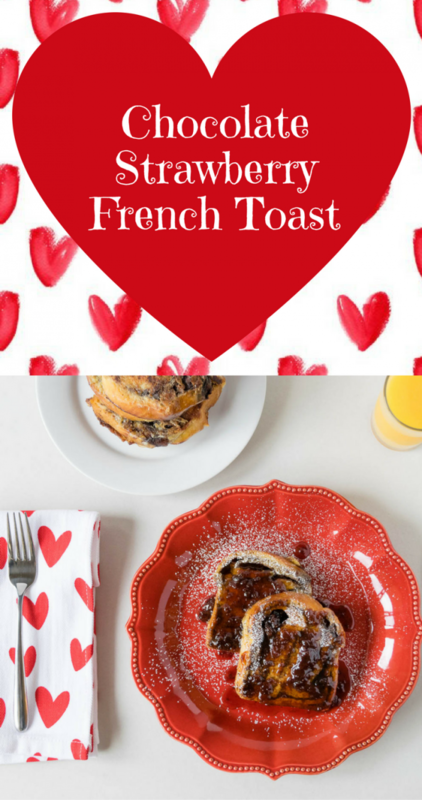 Very good breakfast for Valentine’s Day or and day of the week. Lovely. This french toast looks like a perfect weekend breakfast. Thanks for the idea! Chocolate and strawberries for breakfast is always a winner for me!! I want to make a gluten free version of this ASAP! !